← Persecution – Really? Really. To-the-point, practical books which help people in their grief journey are not plentiful. 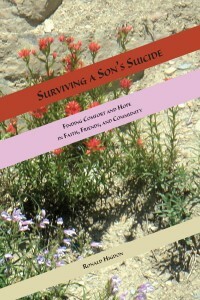 Books which help the supporters of people in their grief journey are also not plentiful. The third truism in this prologue to my recommendation is that different styles of books speak to different people. But I submit that when we are in need of a book on grief, we rarely reach for a 300-page book! I have recently read a book, Surviving A Son’s Suicide by Ronald Higdon. I read it, not as a survivor, but as someone who often receives a call from a friend or family member who is struggling in their grief. I worked for hospice for 12 years and I have a history in grief journeys for my mother, father and my son. People believe I will be sympathetic and listen. I try to validate their trust in me. And so I was looking for a real book that would guide me to support those who have an added difficulty in their grief journey, suicide. Certainly the recent suicide of Robin Williams proves how ignorant some people can be in their comments to grieving family members. The book gives wonderful examples of the notes, comments, and offers of help that honestly helped him and his wife and surviving son. He stresses the need for survivors to acknowledge and walk through their emotions, not avoid them. He warns that this is a marathon journey, not a sprint. While I have experienced the loss of both parents, a sister, numerous aunts and uncles, and, increasingly, close friends near my own age, I was totally unprepared for the loss of a son – grossly unprepared for his loss through suicide. Some days, I still cannot believe he is gone. If you are looking for something that makes it possible to avoid the three great words in life and faith – mystery, paradox, and ambiguity – then this book is not for you. 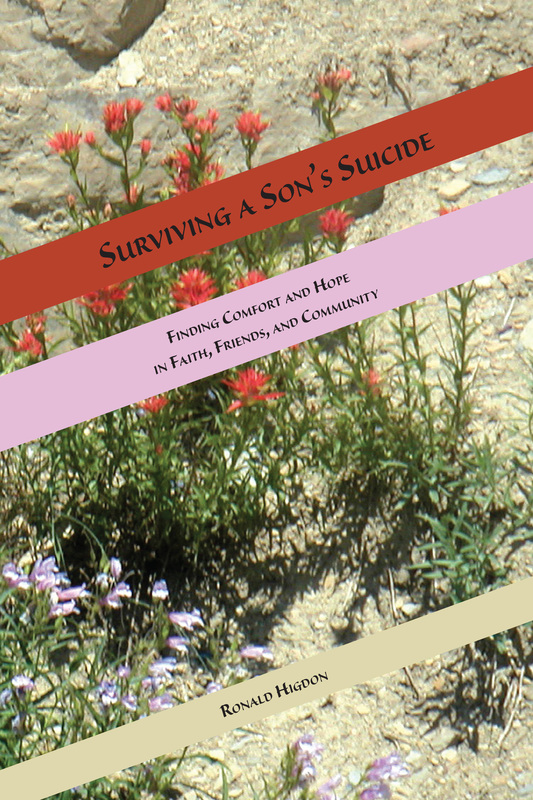 If you have lost a family member through suicide or are seeking ways to be a comfort to those who have and are searching for a painless and less confusing way to do it, you will be disappointed in what you find in these pages. I hope you will give this book a read. I think a $10 book, that is now on sale for $6.99, is a worthy investment to help us help others. This entry was posted in Books, Family, Grief, Life, Outreach. Bookmark the permalink.